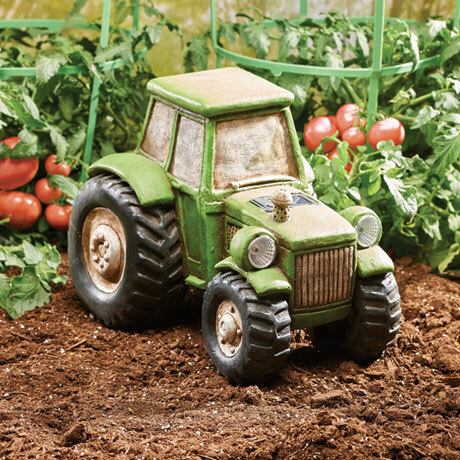 An enchanting addition to a vegetable or herb garden. 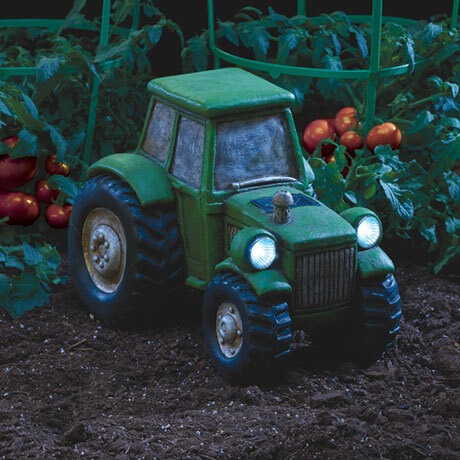 A solar panel on the hood powers a rechargeable AA NICD battery (included), which keeps the headlights shining. Turns on automatically at dusk. 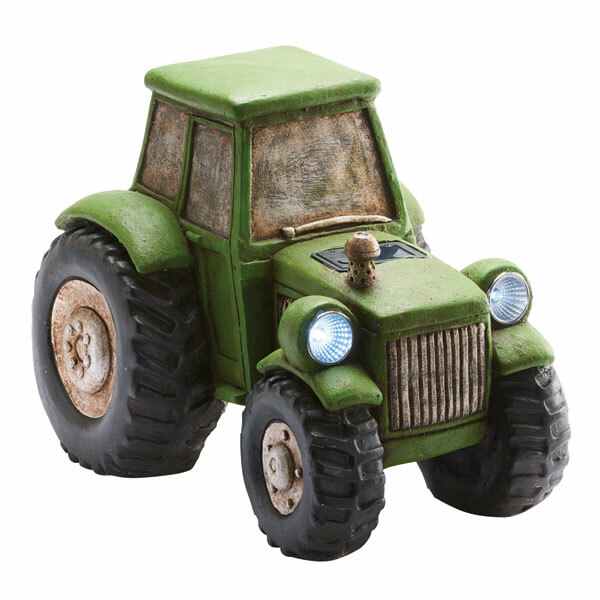 Sturdy tractor is made of resin-like magnesia with an aged finish. 14" long, 11" high, 10" wide. On/off switch.